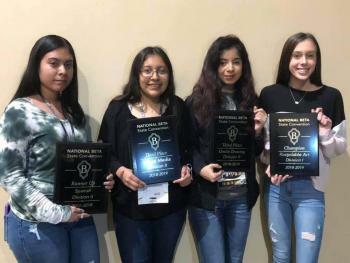 Four students from Hempstead High School Beta Club advanced to nationals after competing at the Texas Beta Club State Convention. 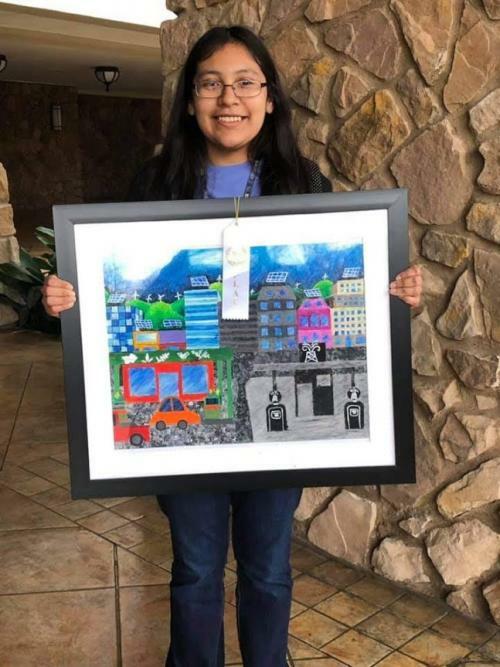 Madison Kwiatkowski placed 1st in Recyclable Art; Almalicia Pérez placed 2nd in 12th grade Spanish; Jeany Mendoza placed 3rd in Mixed Media; and Guadalupe Hernandez placed 3rd in Onsite Pencil Drawing. 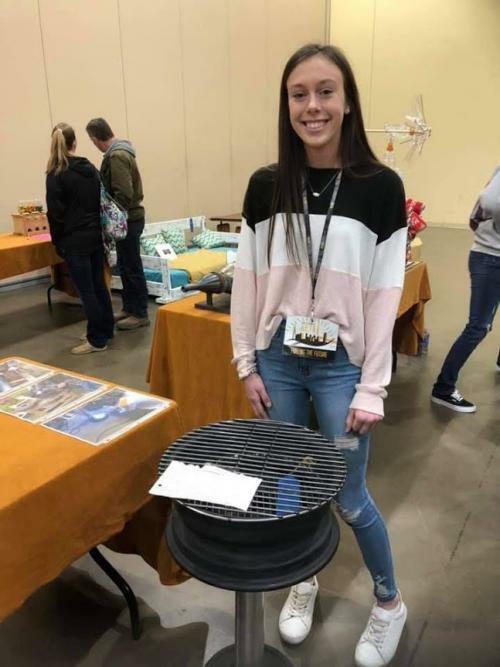 The four young ladies earned the right to advance to the National Competition to be held in Oklahoma City, Oklahoma this summer. 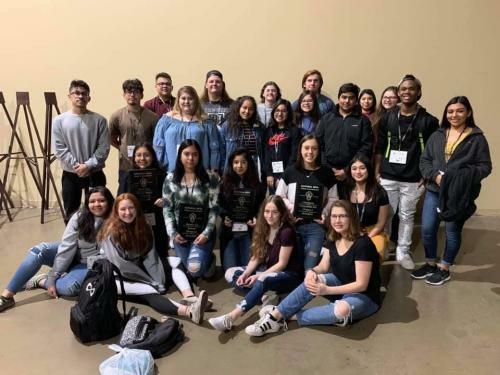 Twenty four students from Hempstead High School were among 1700 students from across the state to participate in the Beta Convention in Grapevine on February 1 & 2. “We had a great time and the students represented our school with integrity and pride,” said Beta Sponsor Christine Herbert. Congratulations to the Hempstead High School Beta Club!